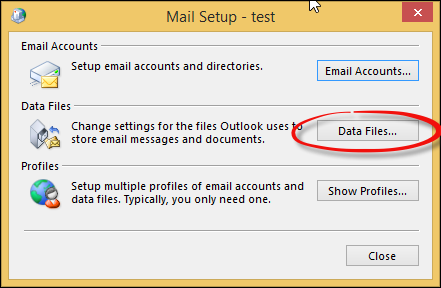 It is important to know the location of Outlook data file (.pst) before backing up or migrating data. It is crucial that the emails saved in archive.pst are located and transferred safely without data loss. This post describes all the steps necessary to locate PST files in Outlook 2016, 2013, 2010, 2007 and below versions. It is an easy guide to locating PST files and moving them to a new location. This makes backing up mailbox information easier to an external drive and freeing up space on the primary drive. Repeat the steps to identify Outlook data file location and move it to a new computer or disk. The primary step in migrating mailboxes is to locate and move data files from their default folder location. This path may contain disconnected PST or old .pst files that contain important information. Below is a table containing the default Outlook data file location in Windows PC. Refer to it to retrieve data files from Outlook folder. First, launch the MS Outlook application and go to Tools >> Options. From the Mail Setup tab, click on Data Files button. Next, copy the file path and paste it to the file explorer window and hit Enter. 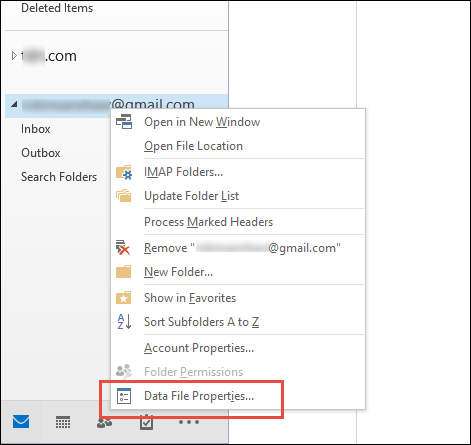 Then, locate Outlook PST file in this folder location. First, launch the email client. 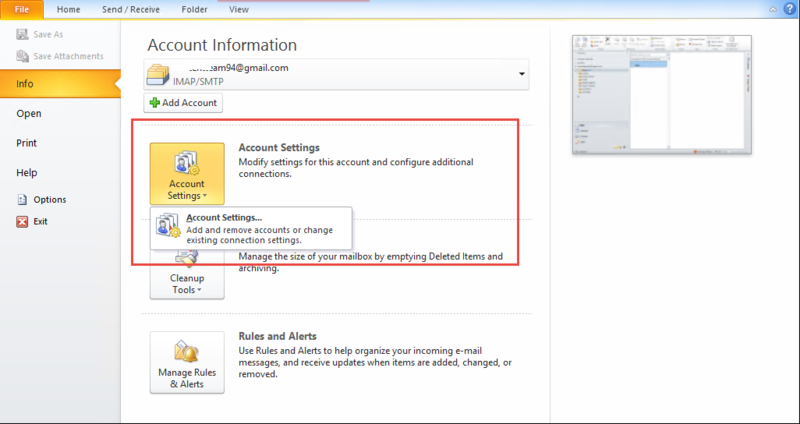 Then, go to File >> Info >> Account Settings >> Account Settings. From the Account Settings dialogue box, select Data Files tab and click on Open File Location. 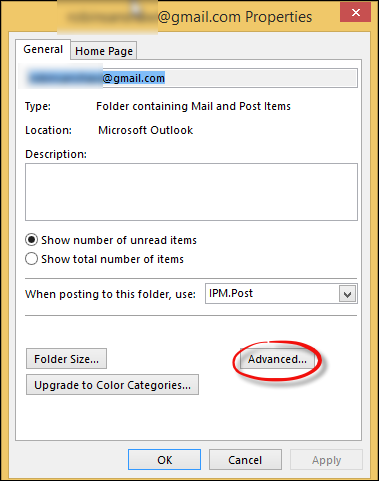 Now, this will open the PST File Location in Outlook 2010. First, launch the email application and open the tree-view of folders. Just click on the ‘>’ icon below File menu. 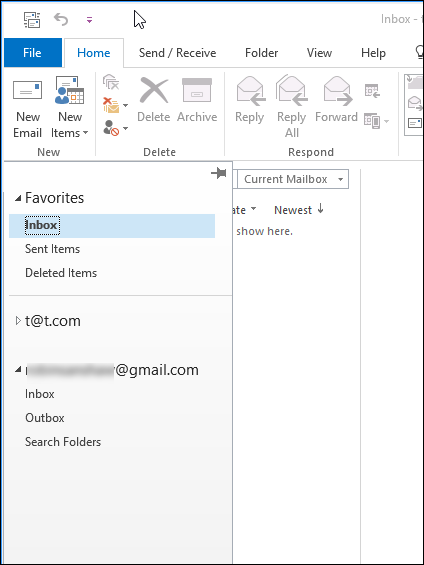 This will display the full folder pane in Outlook 2013 or 2016. Each item in the tab has a separate Outlook data file(.pst). Each email account has a different Outlook.pst file and different PST file location. Now, right-click on any one item and click on Data File Properties. From the Properties dialogue box, click on Advanced button. From the Outlook Data File dialogue box, copy the path to FileName. Then, copy the file location and paste it in a Windows File Explorer window. This will open the PST file location Outlook 2013. First, go to Start >> Control Panel >> Mail. 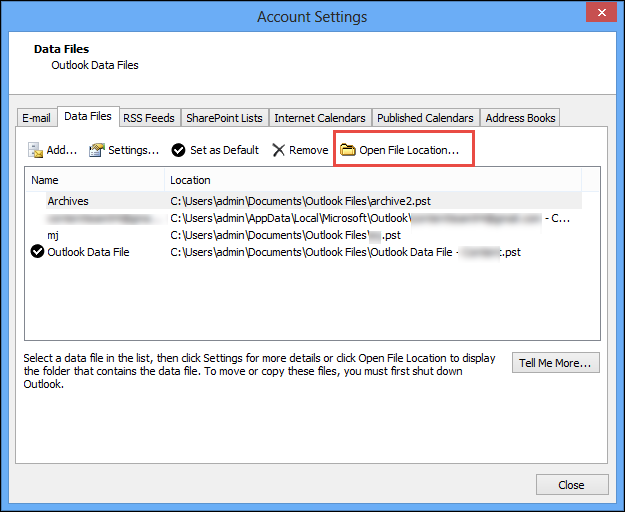 From the Account Settings dialogue box, click on Open File Location to locate Outlook data file(.pst). Free of Cost: There is no additional cost to locate PST files to the company or to the user using manual approach. 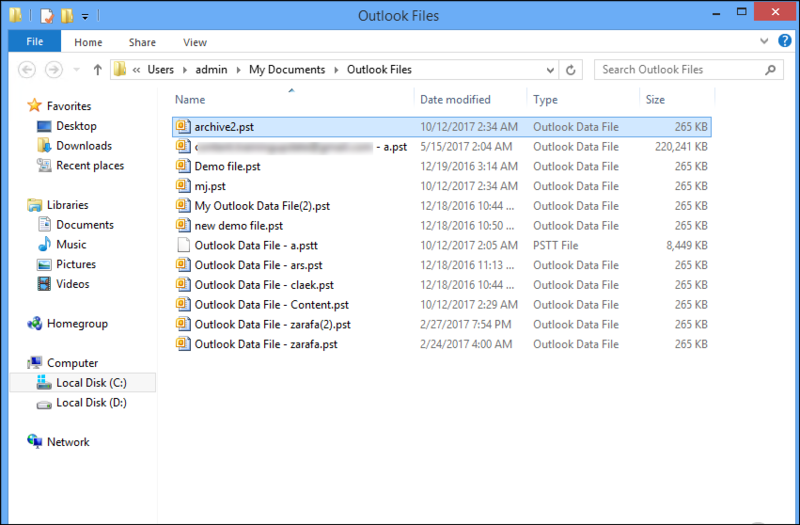 Locate Outlook File Folder: Identify the Outlook data file folder location with all the .pst files saved in one place using the manual solution. Locate Archive.pst: Find the Archive.pst file that stores a regular backup of complete mailbox. This includes backup of emails with attachments, contacts, calendar, tasks, notes, journal items. Confusing Steps: The manual solution in technical jargon for a non-technical or home user. Cannot Change Location: To change Outlook default PST location is a risky undertaking and may lead to errors. Requires Technical Expertise: To identify and backup PST file to another location requires some technical knowledge about the subject. There may be a lot of confusion and difficulty in locating Outlook data files(.pst). Changing location to backup mailbox data may lead to corruption or errors that may be difficult to overcome. Instead, it is recommended to use a perfect third-party tool like the PST Locator to make the task easier and direct. 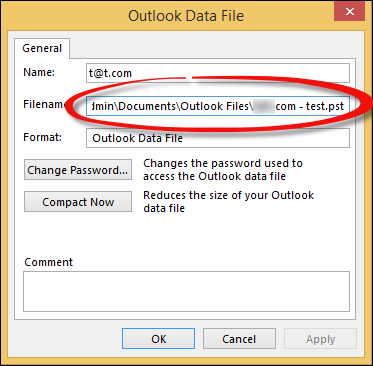 Locate PST File in Outlook 2013, 2010, 2007, 2003 and 2000 in UNICODE or ANSI format. The tool works with all versions of Windows 2000, 2003, 2008, XP, Vista, 7, 8 or 8.1. It is also compatible with Windows server 2008 and 2012 (32 and 64-bit) versions.